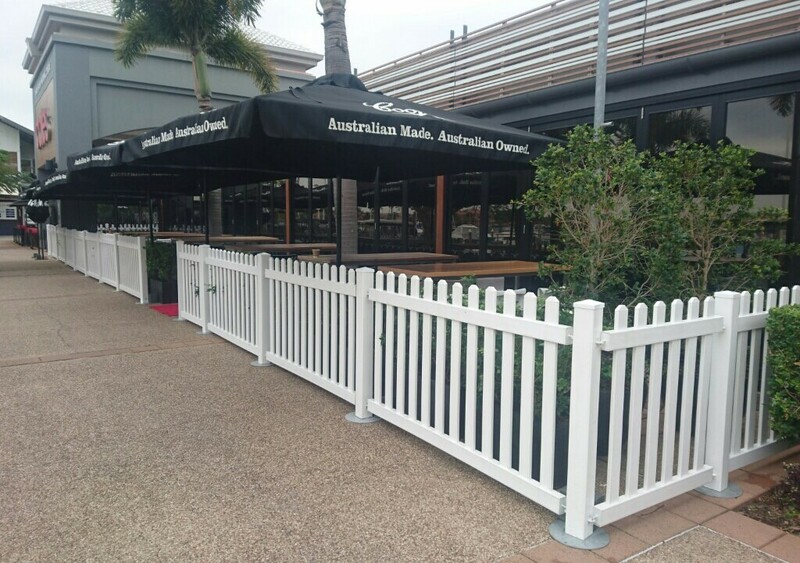 Our quality white PVC fencing is available for sale in two types, the always popular white PICKET fence and also new BOUNDARY fencing. 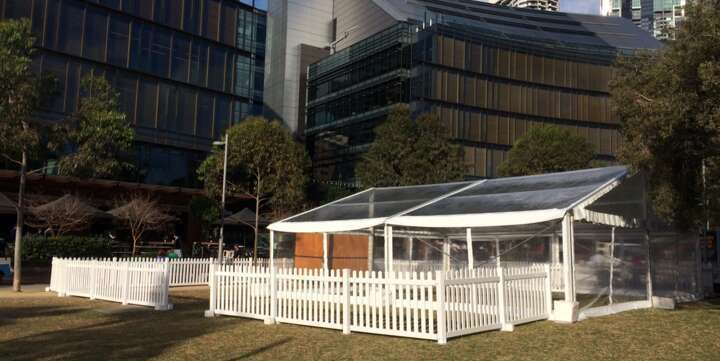 White PVC panels with strong aluminum core frame are ideal for any event - for daily or occasional use, needed indoors or outdoors. The hook and eyelet design ensures easy set up and dismantle, handle and store, while being extremely durable and sturdy. 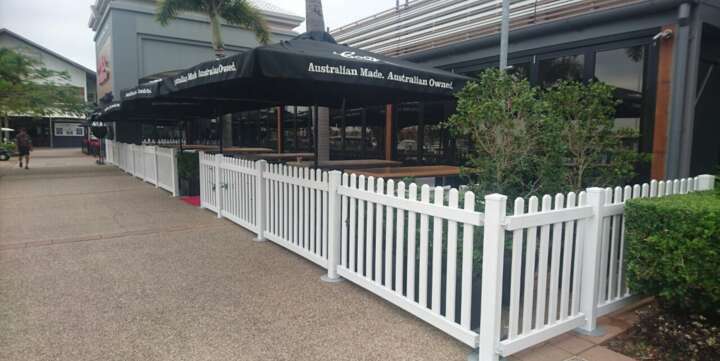 The freestanding bollards allow the fence to be set up in almost any shape - rectangular, oval or simple straight line. 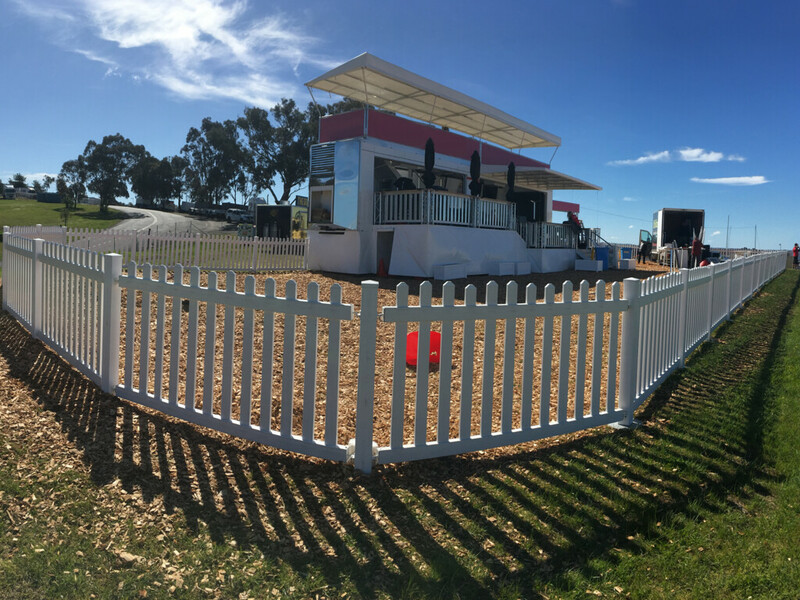 Our portable PVC fencing for sale can be quickly dispatched to anywhere in Australia, New Zealand and Pacific nations. 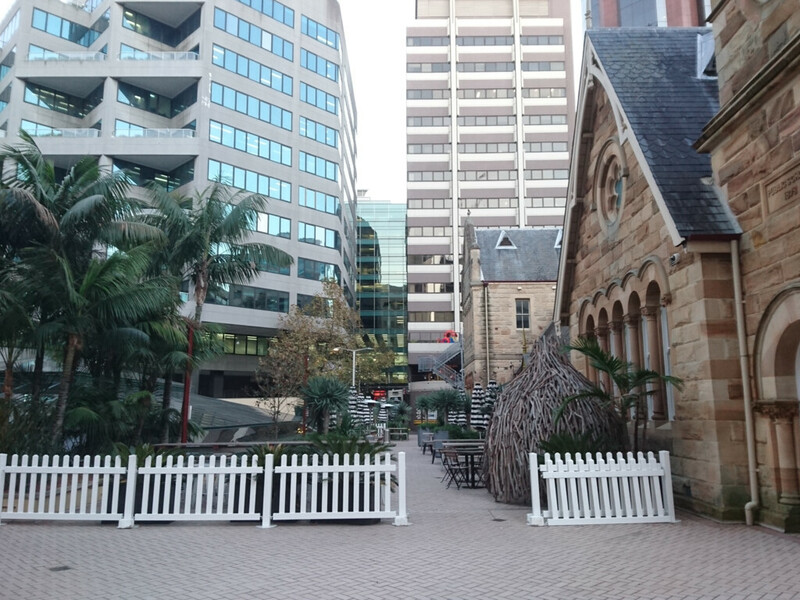 We have supplied many businesses predominantly in Sydney, Melbourne, Brisbane, Perth, but also to other countries including Fiji, Bali, Vanuatu and Singapore. 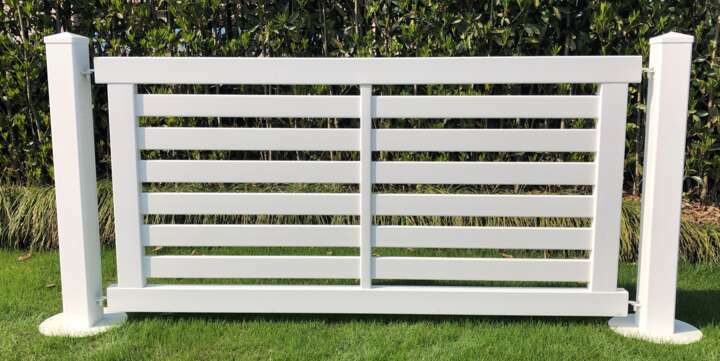 White PVC Picket fence & Boundary fence panels for sale are available in 1m or 2m widths and are 1m in height. Each panel is supplied with one bollard. 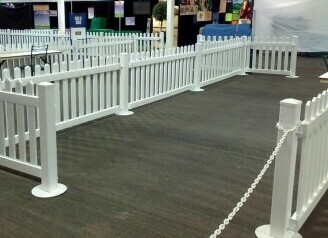 Additional freestanding bollards are also available for sale, at your request. Use on any surface - grass, sand, asphalt etc. Simple and lightweight to install and pack down when you are done. No special training needed to set up, easy to carry. Stacks up easily minimising storage. 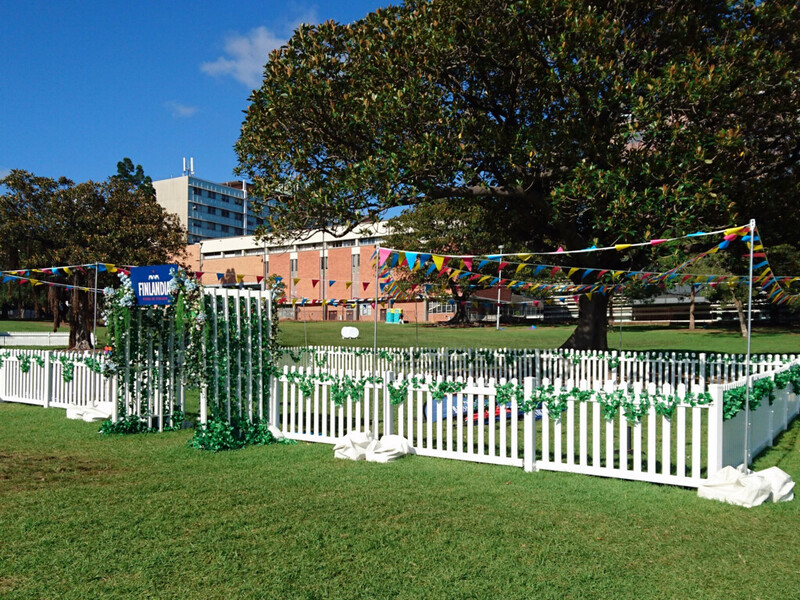 PVC Fencing requires little maintenance. A quick wipe down regulary is all you need. 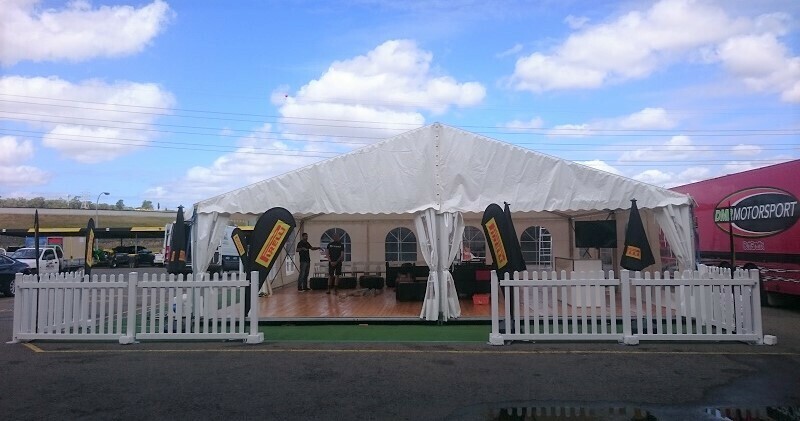 No need for repainting or other onerous maintenance task with PVC fencing.